I will show you how to use PowerShell to extract information about your printers. We will create a script which not only lists the printers, but also reveals their properties. For example, the printer’s sharename, driver, status and 90 other properties. List all the printers on your server. Trawl the network and list the printers on named servers. Output the list of printers to a file. Investigate additional WMI classes for use with printers. Use PowerShell to add printer share. Many of these printer cmdlets employ WMI to interrogate computer objects such as printers. As you may know, Get-WmiObject opens up a whole world of system objects, which you can then use PowerShell to read their values. 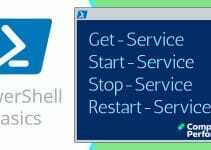 If you have not used PowerShell before, here are step-by-stepinstructions to execute commands. Else, just rely on the trusty copy and paste method. Note 1: In addition to Win32_printer (featured below) there is a class for TCP/IP printing: Win32_TCPIPPrinterPort. Note 2: $_ means in this pipeline. Note 3: Guy’s technique of using the variable $Class is optional. Note 4: FT means: Format-Table with the following properties. Incidentally, you could append -auto. Preliminary, amend $arrayComp to hold the names of real servers on your network. Pay close attention to the speech marks and comma(s). Note 6: Use of -NotMatch. "__" needs the star, hence "__*". Note 7: By assigning the output to a variable, we can count the number of matching properties. Note 8: The tiny backtick (`) is useful for explaining to PowerShell that the same command continues on the next line. Preliminary step: to get this script to work you must amend ‘Server\PrintShare’ to reflect the real name of a server and a printer on your network. Note 10: You must edit the value for $PrinterPath to reflect a computer on your network. Ever since I can remember, printers give more problems than any other hardware. PowerShell is not the magic bullet to cure all your printer problems, however, PowerShell makes it easier to configure printers than using the same commands in VBScript.